Whether you are on the track or on the road, there is a certainty: with SIXS products, you are better. 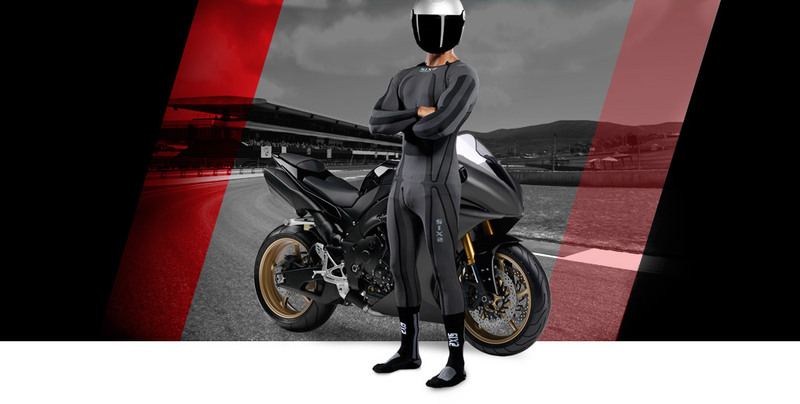 There is no other undersuit that can be compared with ours! Under the leather suit, you will feel your skin dry. It reduces the winter cold and makes you stand the summer heat. The new PRO STX model combines comfort with protection.